Happy New Year! As the year comes to a close, I’ve begun thinking of ways for my family to make the most of the coming year by trying new things. My 5 year old son, Isaac, is the type of kid who can get stuck in his ways. Sometimes he is a little anxious about trying new things, so this year, we are resolving to be more adventurous. From trying new food to having new experiences, I’m looking forward to helping Isaac branch out this year while continuing to enjoy what we’ve learned to love over the past few years. New Years resolutions for the family are an excellent way to teach children about setting goals, personal growth and trying new things. I’m a big proponent of making lemons out of lemonade, which is why I don’t mind a Boston winter. Snow can be a blast and this year we’re going to try snow tubing, snowshoeing, and I’m looking into places where we can go on a sleigh ride. And, if finances allow it, my husband is dying to have Isaac take his first ever snowboarding lesson. I don’t know how to snowboard and my one and only attempt at skiing was a disaster (imagine me falling down the bunny slope each and every time; the next day I was so sore!) so I’ll be sipping hot chocolate in the ski lodge while providing them with moral support. Lots of places offer sports variety classes for preschool and younger elementary school aged kids. I’ve seen this through our city’s recreation department and also at our local YMCA. What’s nice about these variety classes is that the format is a different sport each week. This is a perfect way to try new things because every week is an opportunity to try something new. Another way to try out some new sports classes is to sign up for trial classes. If your child has an interest in a specific sport, give in a whirl and see how they enjoy the class. If he or she enjoys the trial class, sign up for a session. I’ve always loved arts and crafts. Isaac does, too, and it’s really fun now that he’s older because we can embark on more robust projects together. I don’t have a lot of space in our house, so the kinds of projects we do at home can be fairly limited. Luckily, there are a lot of ways to get in touch with your creative side outside the home. This year, I’m resolving to do a lot more NEW art projects with Isaac. Art classes can be really fun to get creative under the instruction of a professional, but it’s also great to find drop-in programs and facilities. 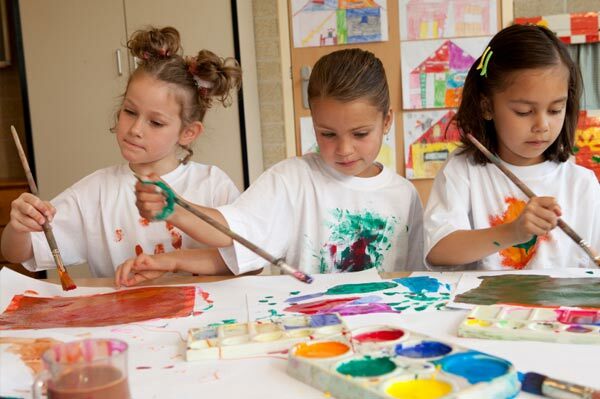 Pottery and plaster painting places are abundant these days or there are also art studios geared towards kids. What’s nice about drop-in art studios is that it can be adapted for different ages if you have multiple kids. A 2- year-old could go wild with finger paint or clay or a tween could do an intricate project. The possibilities are practically endless! On a budget? Keep your eyes peeled for free art projects at places like libraries, Lakeshore Learning stores (if you have any nearby), and local events that might have craft activities for kids. I am resolving to do monthly hikes/nature walks with Isaac. There are some great tips for hiking with kids over at the REI website. If the weather’s cold, we’ll bundle up in our winter jackets, mittens, and scarves. 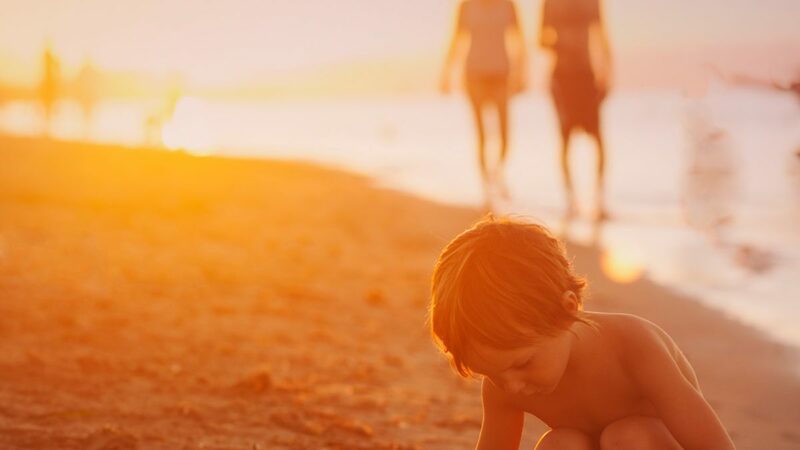 If it’s the sticky dog days of summer, we’ll walk by the beach and bring plenty of hydration. We might look for some more outdoors classes as well. I’ve seen nature classes available or classes at local farms where they can help with the animals or crop harvesting. Isaac started swimming a few months ago and for this year, we’re resolving to continue with it. A big regret I have from my own childhood is that I never stuck with anything and I hope to encourage Isaac to continue to swim. I don’t expect him to become a competitive swimmer (unless he wants to be) but I do expect him to be able to stay afloat safely and confidently. Staying fit and active is a resolution my whole family agrees on. My husband is a distance runner and lots of the races he does have kids fun runs. Even if you’re not a runner, most of the time kids fun runs are open to everyone and not just the kids of runners. Kids fun runs are really great because they encourage fitness in a really positive setting. At these events, all of the participants will usually receive a finisher’s ribbon and sometimes there are other games, snacks, and prizes. This was so important to us that my husband and Isaac started right away with a New Year’s Day 5K and fun run. I’m not a runner — I’ll stick to the elliptical — but of course I was there to cheer them on. I hope everyone has a wonderful year filled with fun and enriching experiences!